Home » Uncategorized » A trolley runs through it. A trolley runs through it. Now and again, when I set out to write about some aspect of Agincourt history, it occurs to me to review previous entries for coverage of that topic and the likelihood of duplication—a very real possibility, given that I’ve been writing about this for ten years, more or less. So I apologize for writing again about the Northwest Iowa Traction Co. transit station at the corner of Louisa and South Broad Street. During my pre-college days I was a huge fan of trolleys, which still ran on Chicago streets when I was much younger. I never rode on the South Shore Line, nor on the Chicago, Aurora & Elgin—respectively serving the south suburbs and those on the far west of the city—but the Chicago, North Shore & Milwaukee was scheduled to cease service in January 1963, so I dutifully rode it as far as Waukegan, I think, some time during early January, just to be able to say that I’d done it. Those trains were packed with rail fans, for precisely the same reason, cameras dangling from neck straps and recording the hell out of the event, as an era of rail transit passed into history—as I, too, will, soon enough. So please pardon another of my many trips down memory lane. The NITC serving northwestern Iowa communities from Fort Dodge to Storm Lake is patterned, unconsciously, after my CNS&M experience. And its depot in downtown Agincourt grew from several postcard images I have seen of depots throughout the Midwest. Today I ran across a truly stunning example that once stood in Wilkes-Barre, Pennsylvania, now sadly gone the way of the dodo. The street-view card is currently on auction (for $45!) and confirms my contention that the NITC depot would have accommodated a diagonal path for the trains themselves through the building. Buildings of this sort are more common than you might suspect; including not only the passenger ticketing and waiting area, but also the company’s offices and some commercial activity. In the waiting room itself there would certainly have been a news stand and tobacconist and I’d guess that a barber shop might have been somewhere close by. 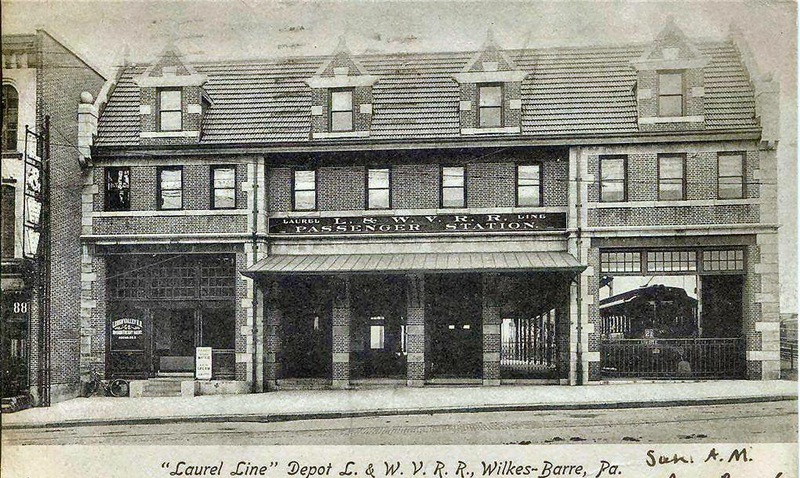 The Wilkes-Barre depot is unusual for allowing cars to park within the building, but also to pass beside its covered trackside platform. Notice that cars could loop for convenient reversal of direction; presumably this was a dead end station. Some day soon, I should put links here to the other dozen or so entries related to this important Agincourt building. 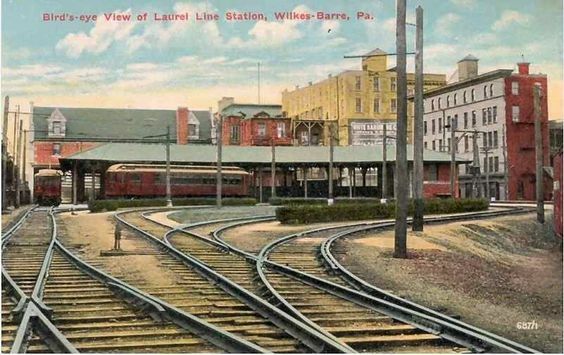 But for the time being, enjoy the Wilkes-Barre images that I’m unlikely to afford. By agincourtiowa in Uncategorized on Wednesday/07/March/2018 .